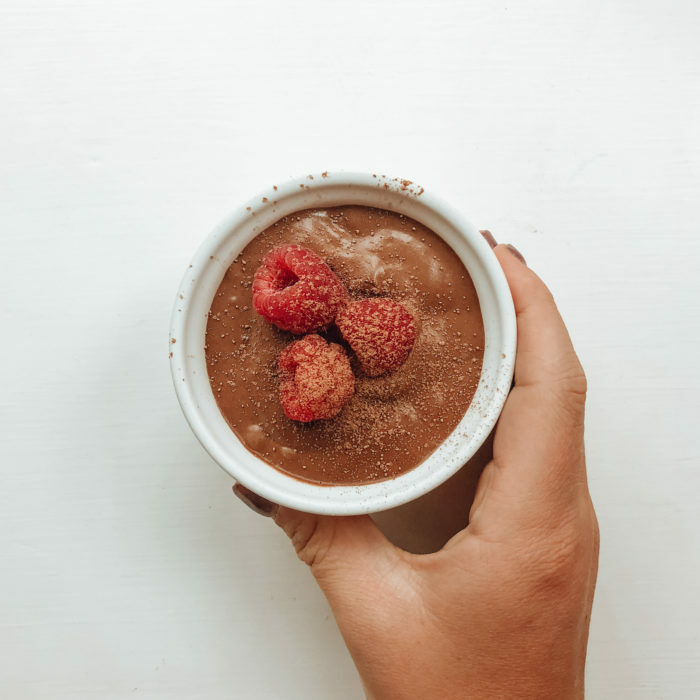 This easy to make dessert is a healthy alternative to a classic family favorite and combines two of our favorite things, avocados, and chocolate. This is the perfect dessert to impress your dinner guests, or for a sweet treat mid-week. 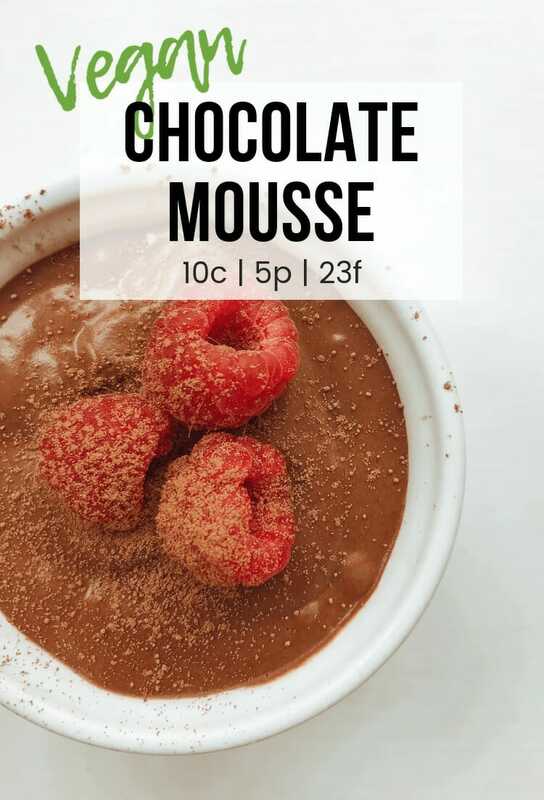 Each mousse is super light and fluffy, and gorgeously indulgent without overdoing it on the sugar – totally vegan too! A nice healthy option for dessert! Blend the ripe avocado, banana, agave nectar and coconut milk together until smooth. Add cocoa powder and protein powder to the blender and blend together until it becomes a smooth thick mixture. I'm using the Protein World Vegan Blend in Chocolate, but any chocolate flavour protein powder will work well. Divide the mixture evenly into small dessert dishes, patting the bottom gently to remove any air bubbles. Allow the mousse to thicken and set by placing the dishes in the fridge for about an hour. Add a couple of fresh raspberries and a dusting of cocoa powder to each dish to decorate before serving.